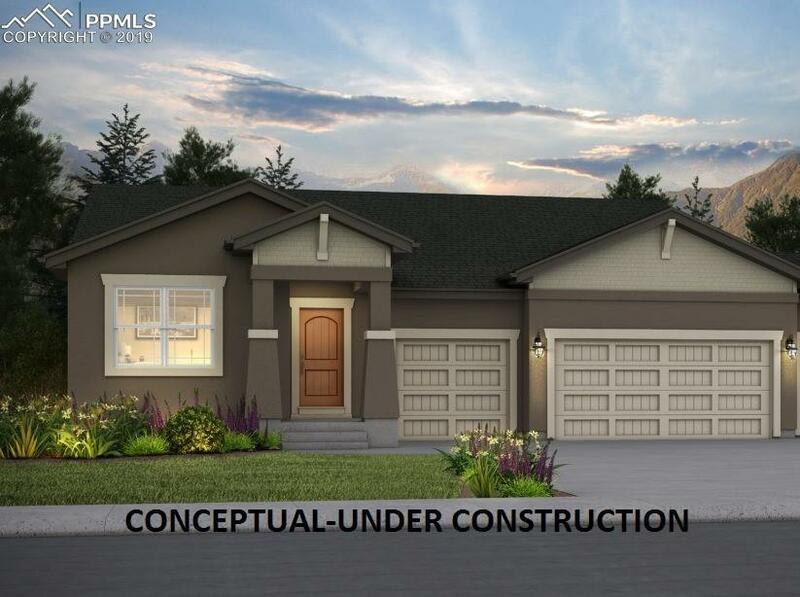 This Mustang plan offers a large open ranch floor plan perfect for entertaining todayÃ¢â‚¬â„¢s family. The great room includes 11Ã¢â‚¬â„¢ ceilings with a fireplace. The main level has a spacious master bedroom that leads into a stunning 4-piece spa master bathroom. The main level also includes a study(flex room) and secondary bedroom with convenient access to the bath. The laundry is conveniently located off the ownerÃ¢â‚¬â„¢s entry. Also on the main level is a tech center, which allows for even more storage space. The great room and spacious kitchen with center island and nook features upgraded cabinets and granite counter tops. The finished basement includes a rec room, 2 additional bedrooms, a bathroom, and tons of extra storage space. This house backs to open space and includes a rear patio cover!House includes A/C prep and basement is pre-plumbed for a wet bar. Ready July 2019. Listing provided courtesy of Vantage Sales, Llc.